For dimming, a special connecting cable is not required. The design of the LEDS-C4 Strata wall light dimmable LED makes a clever use of the geometrical shape of a circle. The wall bracket as well as both reflectors form overlapping circles, thus giving the Strata LED a unique appearance. The name "Strata" refers to the high-quality metal surfaces of this wall light by the Spanish light manufacturer LEDS-C4. In spite of its small size of 22 cm, the Strata becomes the striking eye-catcher of numerous interior design concepts. With their precious metal surfaces, the small discs give this a light a touch of extravagance. 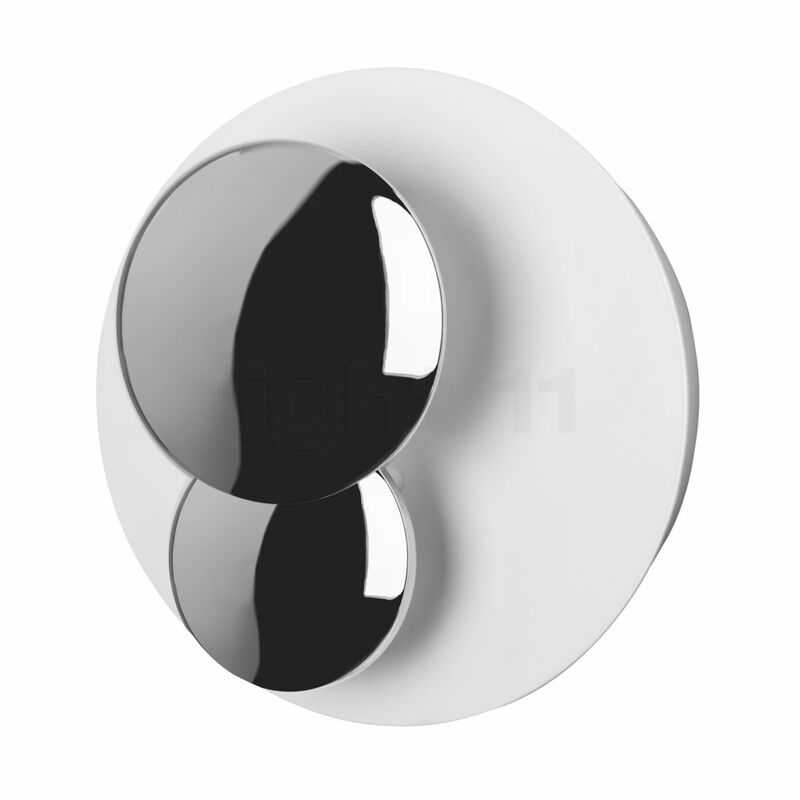 The LEDs on the back of the metal discs emit their light towards the large reflector for soft, indirect lighting. Each of the two metal discs houses an efficient LED module which focuses its light directly towards the white painted reflector. From there, the light spreads into the room without glaring, which results in a harmonious lighting effect. In this way the LEDS-C4 Strata dimmable LED creates a pleasant, inviting atmosphere. 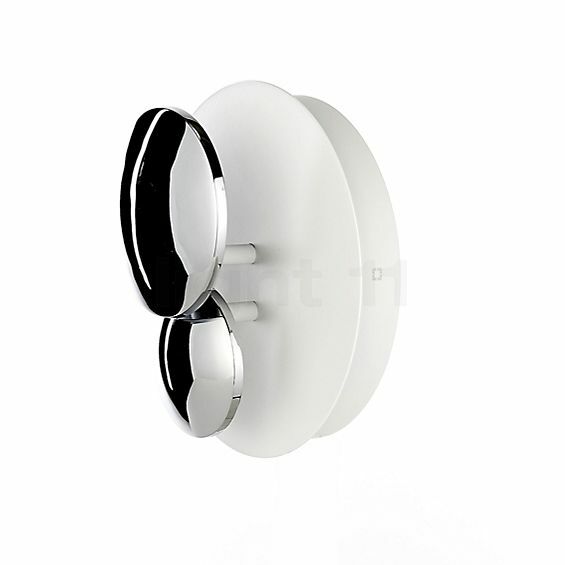 What is more, the wall light operates at a highly efficient level. In order to adjust the brightness to your personal needs, the Strata can be connected to an external dimmer. Tell other customers and us about your experiences with the Strata Wall light dimmable LED ! The LEDS-C4 Strata LED supplies pleasant warm-white light, which is particularly suited for the living room. The wall light offers glare-free mood light for relaxing evening with your friends and your family. However, the Strata LED by LEDS-C4 may also provide a hallway or a bedroom with pleasant mood light that invites you to sit back and relax.